- Any -?, ?.Adams, C.Ainsworth, M.Akhtar, N.Akmanoglu, N.Aldoney, D.Aldrich, N. J.Alfieri, L.Amadio, M.Amsel, E.Anderson, H.Anderson, K.Anna, V.Apperly, I. A.Archer, C.Aureli, T.Avornyo, E. A.Ayoub, C.Baddeley, A. D.Bagley, S.Bakeman, R.Baker, C. E.Baker, F. S.Baker, S.Ball, K.Bancroft, M. E.Barbu, S.Bargiota, K.Barker, J. E.Barkley, J. E.Barnett, L. A.Barnett, W. S.Barrett, E. S.Baruni, R. R.Basilio, M.Bates, B.Bateson, P.Batu, E. S.Baumer, S.BBCBeck, S. R.Becker, B.Bergen, D.Berk, L.Berk, L. E.Berkhout, L.Bernier, A.Bingham, S.Blair, C.Blaise, M.Bodrova, E.Bojke, C.Bonawitz, E.Bonawitz, E. B.Bornstein, M. H.Bowlby, J.Bretherton, I.Bridgers, S.Brock, L. L.Brockman, R.Brooker, E.Brooker, L.Brookings InstitutionBrookings Institution, .Brooks, P. J.Brooks-Gunn, J.Brown, A. L.Brown, M. M.Brownell, C. A.Bruce, T.Bruner, J. S.Bub, K.Buchsbaum, D.Buder, E. H.Buell, M. J.Buettner, G.Buggey, T.Bulotsky-Shearer, R. J.Bundy, A. C.Burgdorf, J.Burns, S.Burns-Nader, S.Butcher, J.Byrne, E.Byrne, R. M.Cabanes, G.Cabrera, N. J.Caló, S.Cambridge NeuroscienceCanning, N.Cardone, D.Care, E.Carlson, S. M.Carroll, D. J.Carver, A.Chanoff, D.Cheng, D. P. W.Chessa, D.Cheung, Y.Chorna, L.Christie, J. F.Christie, T.Cicchetti, D.Clackson, K.Cohen, E.Cole, M.Coltman, P.Colwell, M. J.Committee on Communications and the Committee on Psychosocial Aspects of Child and Family HealthConner, J.Cook, C.Coplan, R. J.Copple, C.Cornell, M.Cousineau, K.Crawford, D.Crockenberg, S. C.Crowley, K.Cugmas, Z.Curby, T. W.Cutumisu, N.Danniels, E.Dansereau, D. R.Decker, K. B.DeLoache, J. S.DeLuca, C.Delvecchio, E.Dender, A.Di Riso, D.Diamond, A.DiBianca Fasoli, A.Dignath, C.Dilalla, L. F.Dimitropoulos, A.Dore, R. A.Eberhart, J.Eberle, S. G.Edwards, S.EEFEEF, .EIFEIF, .Elias, C. L.Else-Quest, N.Ensor, R. A.EPAEPA, .Erickson, S. J.Erikson, E. H.Esseily, R.F. Christie, J.Fagard, J.Fair PlayFair Play, .Fallon, J.Fantuzzo, J. W.Farr, W.Farver, J. A. M.Fawcett, C.Fearn, M.Feda, D. M.Fehr, K. K.Fein, G. G.Feldman, R.Ferholt, B.Ferreira, P.Fisher, K.Fisher, K. R.Flowerday, T.Foster, T.Fowler, S. A.Fox, K. R.Francis, G. A.Freeman, S.Friehe, M.Fung, C. K. H.Gao, P.Gaskins, S.Gauntlett, D.Georgeson, J.Georgieva, S.Germeroth, C.Gibson, J.Gibson, J. L.Gill, T.Gilpin, A. T.Ginsburg, K. R.Goelman, H.Goldstein, T. R.Golinkoff, R. M.Goodliff, G.Goodman, N. D.Goorhuis-Brouwer, S. M.Gopnik, A.Gordon, N.Grammatikopoulos, V.Grau, V.Gray, P.Grazia, A.Green, J.Greenberg, M. T.Greenfield, D.Grimm, K. J.Groisser, D. B.Gustaffson-Wright, E.Gweon, H.Han, M.Harkness, S.Hart, R.Hart, S.Harvard UniversityHarvard University, .Harvard University, H. U.Harvard University, P. Z.Henricks, T. S.Hernandez-Reif, M.Hirose, T.Hirsh-Pasek, K.Hobson, J. A.Hobson, R. P.Hoekman, J.Hoffmann, J.Hofmann, W.Hoicka, E.Holding, A.Holland, P.Holsgrove, S.Holt, N.Hopkins, E. J.Hornbeck, A.Howard, J.Hughes, A. R.Hughes, C. H.Hussain, J.Hyndman, B.Hyson, M.Ievers-Landis, C.Ievers-Landis, C. E.Ilgaz, H.IPAIPA, .ITLAITLA, .ITRAITRA, .Jacobs, E. V.Jago, R.Jameson, D.Jameson, H.Jan, G.Jane, P.Janet, M.Janssen, X.Jarareh, J.Jarvis, P.Jensen, H.John-Steiner, (.John-Steiner, V.Johnson, J. E.Johnstone, A.Jolly, A.Jones, J.Jones, S. M.Jones,, S. S.Jung, K.Karberg, E.Karpov, Y. V.Kasari, C.Kelly-Vance, L.Kennair, L. E. O.Kerkhof, L. W. M. v.Kim, G.Kim, H.Kim, M.Kim, Y. K.Kimbro, R. T.Kirkham, J.Koda, N.Krafft, K. C.Kumpulainen, K.Kusché, C. A.Kuschner, D.Lam, S.Lambiase, M. J.Lander, R.Langfeldt, H.Le Maner-Idrissi, G.Lecusay, R.Lee, M. K.Lee, Y.Lee-Shin, Y.LEGO FoundationLEGO Foundation, .LEGO Foundation, L. F.Leong, D.Leong, D. J.Leong, V.Lerner, M. D.Leslie, A. M.Li, J.Li-Grining, C.Lieberman, J. N.Lillard, A.Lillard, A. S.Lillemyr, O. F.Linda S. Fazio, P.Lindsey, E. W.Lipe, S. L.Lis, A.Liszkowski, U.Liu, C.London PlayLondon Play, .Lopez, L. M.Lowe, J. R.Mabilia, D.MacCobb, S.Maclean, P. C.Madej, K.Malik, S.Malin, J. L.Manz, P. H.Marcon, R. A.Mardell, B.Marder, K.Mareva, S.Martin, P.Mastergeorge, A.McBride, D. L.McCarthy, T. F.McClelland, M.McCune, L.McGrew, W. C.McGuinness, C.McInnes, K.McLanahan, S.Mcnair, L.McWayne, C. M.Mehta, S.Mendez, J. L.Merla, A.Meyer, B. A.Michaelson, L.Miles, G. E.Minami, T.Mireault, G.Mireault, G. C.Mitchell, P.Mitchell, S. A.MKPAMKPA, .Mohammadi, A.Montague, E. Q.Moosavian, S. A.Morrison, M.Moyles, J.Mulder, T.Mullineaux, P. Y.Munakata, Y.Munro, S.Nader, M.Nath, S.Nathan, P.Nathanson, L.National Institute for PlayNational Institute for Play, .NCCANeale, D.Nettle, D.Neuman, S. B.Newcombe, N.Newman, S.Nicolopoulou, A.Nielsen, M.Nocita, G.Normansell, L.Novotny, M. A.O'Regan, K. J.O'Sullivan, L.Ogle, L.Oller, D. K.Ooi, L. L.OPALOPAL, .Ostrosky, M. M.Othman, S.Page, C.Palmquist, C. M.Panksepp, J.Papadopoulou, M.Park, C.Parmar, P.Pasternak, D. P.Payler, J.PEDALPellegrini, A. D.Pellis, S. M.Pellis, V. C.Pennington, B. F.Pentz, M. A.Perfect, T. J.Perry, N.Peterson, D. M.Pettinato, C.Pierucci, J. M.Pino Pasternak, D.Pino-Pasternak, .Pino-Pasternak, D.Play EnglandPlay England, .Play ScotlandPlay Scotland, .Play Scotland, P. S.Play Services IrelandPlay Services Ireland, .Play WalesPlay Wales, .Play Wales, P. W.PlayFuturesPlaying OutPlaying Out, .PLAYLINKPLAYLINK, .Press, F. P.Pressler, E.Project ZeroProject Zero, .Pronin Fromberg, D.Provan, L. S.PTIPTI, .Pyle, A.Ramani, G. B.Ramsdell, H. L.Rao, N.Rao, Z.Rapp, J. T.Rat-Fischer, L.Raver, C. C.Razza, R. P.Reddy, V.Redmon, J. B.Reilly, J. J.Renninger, K. A.Riggs, K. J.Riggs, N. R.Right to PlayRight to Play, .Rimm-Kaufman, S. E.Robinson, E. J.Roemmich, J. N.Roese, N. J.Rogosch, F. A.Rosenthal, M. K.Rose‐Krasnor, L.Roskos, K.Roskos, K. A.Russ, S.Russ, S. W.Ryalls, B.Ryalls, B. O.Said, I.Salcuni, S.Salmon, J.Sandseter, E. B. H.Sangster, C.Savina, E.Schmeichel, B. J.Schulz, L.Schulz, L. E.Schwartz, B. L.Scribner, S.Sehn, Z.Sekino, Y.Semenov, A. D.Shafto, P.Siegler, R. S.Siencyn, S. W.Sigel, I.Singer, D.Singer, D. G.Siraj, I.Siviy, S.Skard, G.Smalley, D.Smith, E. D.Smith, L. B.Snyder, H. R.Solis, S. L.Somogyi, E.Souberman, E.Sparks, A.Sparrow, J. E.Spelke, E.Spence, J.Sproule, L.Stagnitti, K.Stechuk, R.Stjerne Thomsen, B.Stone, M. R.Sugarman, S.Super, C.Swan, S. H.Swiniarski, L.Sylva, K.Szücs, D.Søbstad, F.Tamis-LeMonda, C. S.Taneja, V.TASPTASP, .Taylor, M.Tenenbaum, H. R.Thibodeau, R. B.Thoma, S. J.Thomas, J.Timperio, A.Tims, C.Toth, S. L.Trevlas, E.Trew, K.Trezza, V.Tsigilis, N.Tunçgenç, B.Turner, C.Uhre Fogg, C.University, H.Valentino, K.Vallotton, C.Vandenburg, B.Vandermaas-Peeler, M.Vanderschuren, L. J. M. J.Veitch, J.Vong, K. [.Voorn, P.Vu, J. A.Vygotsky, L. S.Walker, C. M.Walsh, G.Wang, C.Warlaumont, A. S.Wass, S.Weisberg, D. S.Welsh, M. C.Whipple, N.White, R. E.Whitebread, D.Widman, S.Wohn, D. Y.Woodard, K.Wu, S.Yanardag, M.Yarosz, D. J.Yovell, Y.Yu, S.Zachariou, A.Zachopoulou, E.Zhai, F.Zlatev, J.Zosh, J. M.Zyga, O.bobLepper, M. R., & Henderlong, J. What are Key Words and Tags? How do you search on PEDAL Hub? Find out about who we are! Take a look at our Play Pieces! 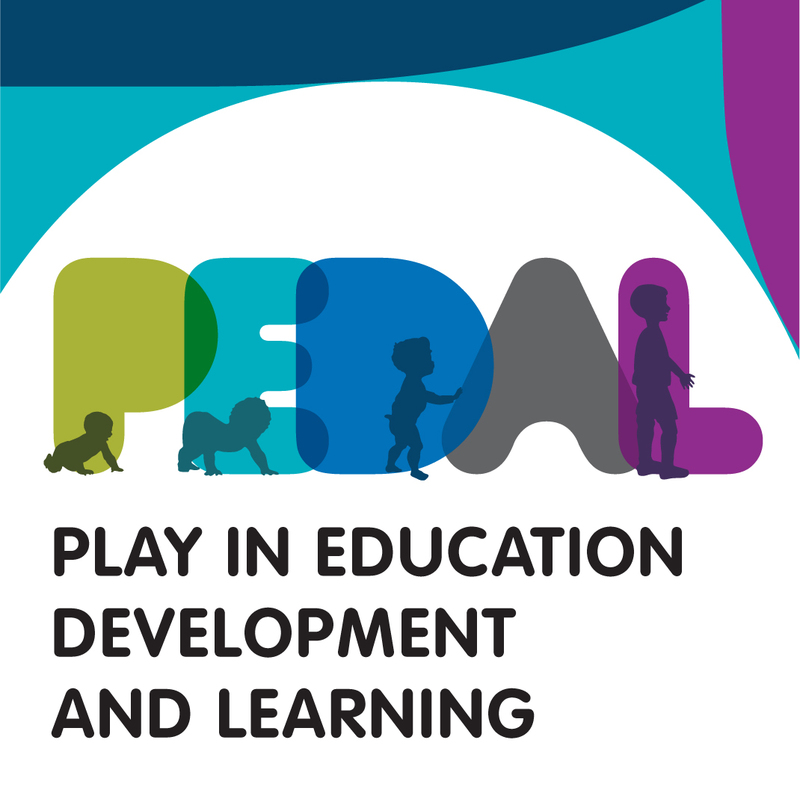 PEDAL Hub is run by PEDAL (the Centre for Research on Play in Education, Development and Learning) at the Faculty of Education of the University of Cambridge. 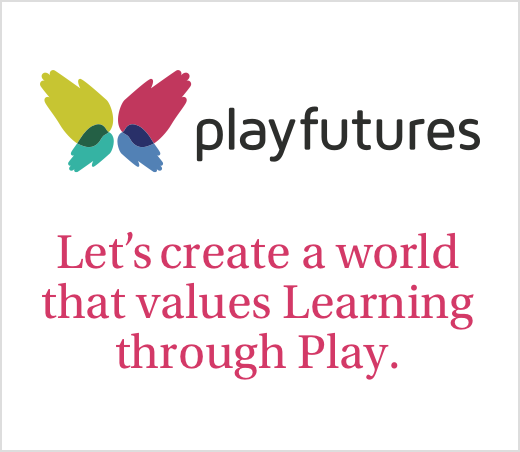 It will make play research, policy and practice from across the world accessible to teachers, non-governmental organisations, parents/carers, researchers, policy makers and play advocates. As well as containing play research articles, reports, policy documents and practical resources, PEDAL Hub also includes 'Play Pieces' – short summaries of current play research written by experts, all linked to relevant research papers. To find out more about PEDAL and PEDAL Hub, please visit our About page. Take a look at our 'Play Pieces'!